This weekend was glorious! I was so thankful for an early soccer game on Saturday (Our weekends have been full of soccer and football lately. Maybe too full. ), leaving the whole day open for a family outing. While I loathe any sort of road trip, a long drive in the country on a perfect autumn day is a different story. A sun dappled landscape in shades of wheat, gold and rust, dotted with old barns, the occasional church steeple and white fenced farms of grazing horses and cows. It's like spending the day inside a painting and I love it, even better when spent with my boys. We put away our phones, turned up the country music, packed a yummy picnic and headed east to Karnes Orchard, a picturesque apple orchard, for the afternoon. This orchard has been in the same family since 1876, yet went through a period of dormancy in the 90s and reopened in 2013 - amazing. You can read the history here. There are no hayrides or gift shops or really anything other than apple trees as far as you can see and the best fresh cider. There is something so enjoyable about sharing an authentic farm experience, free from lots of added fan fair, with my family. It was just what I needed to feel in the fall spirit and I'm grateful I captured some of it on film. We brought home some of their cider too and I made my second batch of apple cider donuts this week. I'm still tinkering with a couple recipes. I will be sure to share when (if?) I feel like I perfect it. I have a feeling cider donuts are just better fried, so that's my next attempt. This weekend was glorious! Your apple picking trip looks wonderful. 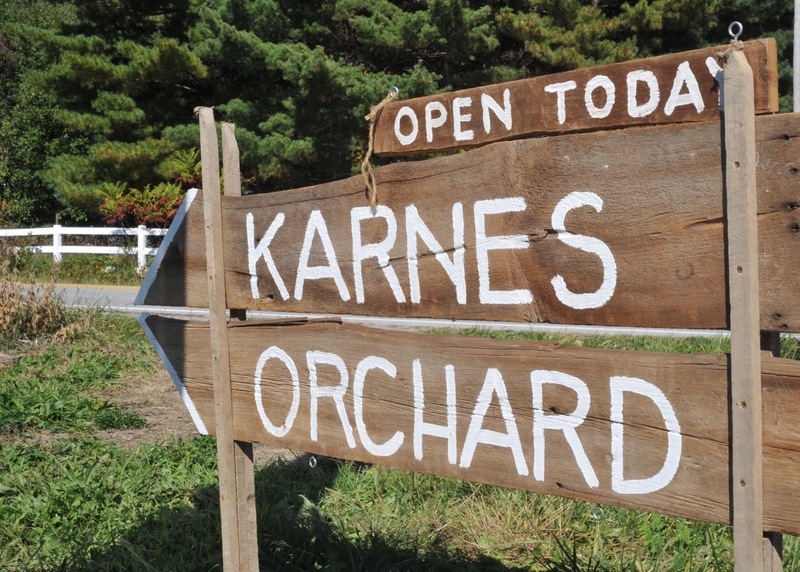 Our favorite local apple spot is a small orchard close that has mostly heirloom varieties. I came home with a big bag of Cameo on Sunday afternoon. They are our new favorite, too! Hi! A friend of mine sent me a link to your blog. I love it! I looked at all your past posts on my train ride yesterday from NYC to Mass. You photos are beautiful and I adore your home. I will definitely be back. Enjoy your week. What a lovely day spent with your family. Terrific memories made.